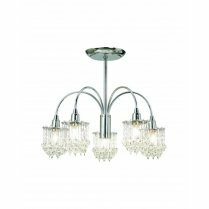 Endon's Alda 3 Light Semi-flush Fitting is perfect for smaller spaces and low ceilings with its 31cm drop. 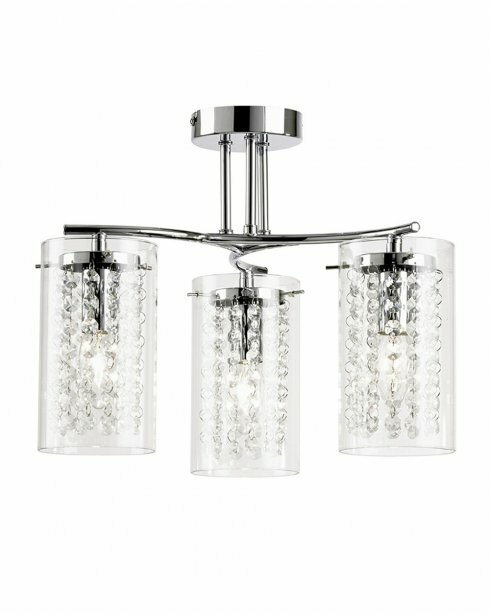 Featuring curved polished chrome arms and 3 light fittings with cylindrical glass shades. 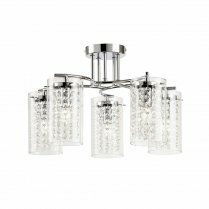 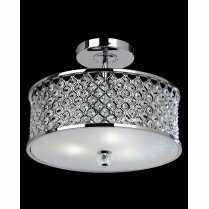 Each shade has a delicate crystal beading within that allows the light from each halogen to twinkle through for a stunning sparkling diffusion. 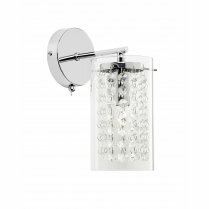 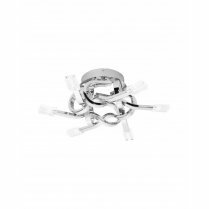 The Alda requires 3 x 40W E14 candle bulbs and can be used with energy saving bulbs. 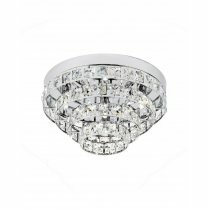 An alternative 5 light fitting and single light wall fitting is available to complete the look.